The realistic resin skull decoration is one of the most realistic prop skulls available. The resin material creates a bone like effect. 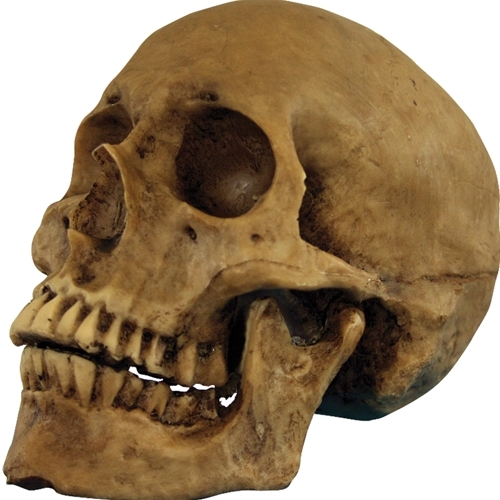 This skull is perfect for Halloween decoration, haunted houses, and theatrical performances. The realistic resin skull decoration is colored as pictured. Decoration measures 6” long, 4.5” wide, and 7” tall.